“Alabama architect Bill Ingram possesses a modesty that belies his prodigious talent, but in the end, he is just like his thoughtfully crafted houses – tastefully restrained but exuding boundless charm and character." Clean lines, warm materials, and pleasant textures are qualities that define the charming works we have produced and environments that give us pause. Discover the philosophy behind the structures of Bill Ingram Architect and the professionals who bring them to life with their discerning eye and attention to detail. We cherish the relationships we build with our clients and would be thrilled to speak with you about the possibility of starting your own journey with Bill Ingram Architect. 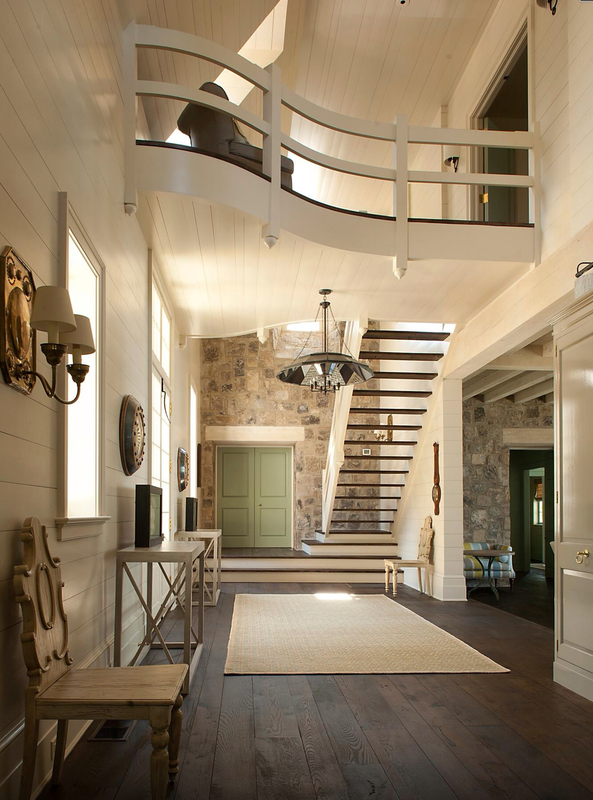 The curved landing in the foyer references the shape of an exaggerated roof swoop. The stone walls give a sense of permanence and reinforces the home's heritage. Mixed materials and an intentionally prominent service wing relieve the confinements of symmetry and create an inherent sense of balance. From the front entry, a view of the guest room was designed to evoke the idea of a sleeping porch. A large ottoman creates convenience for all seating, while the fireplace remains the focal point with its custom limestone mantel and stone wall surround. The large windows create scale and fill the room with light. The restrained palette is set off by a beamed sealing of bleached cyprus and antique floors. The large antique mirror bounces light around the room and makes the space feel larger, while the stone walls add architectural interest. 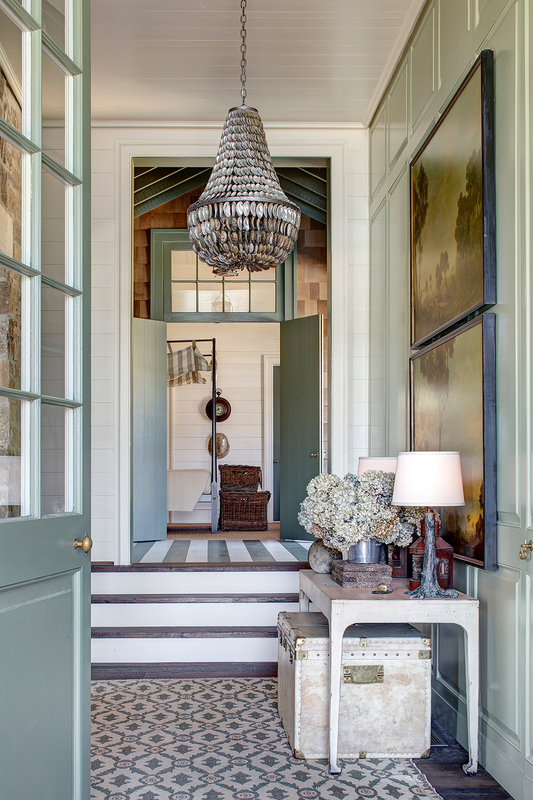 The stunning estate creates the perfect setting for this low country farmhouse. The wood-stacked fireplace adds a hint of fun, while the layered pillows creates extra seating in an unpredictable way.